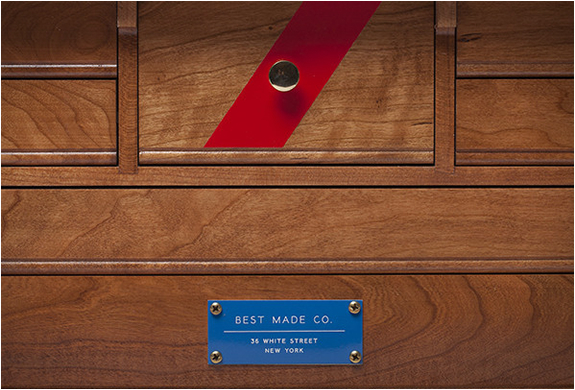 Best Made have teamed up with manufacturer of wooden tool chests H. Gerstner & Sons, for this special edition 41D Gerstner Chest. 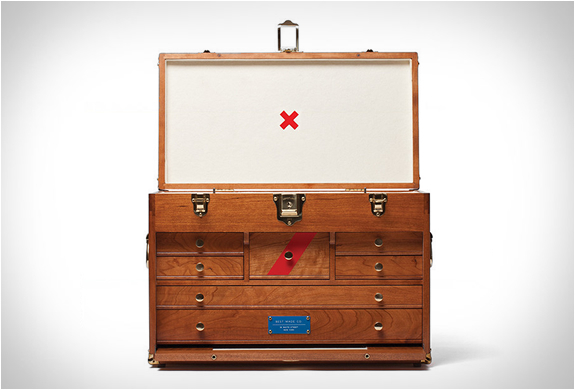 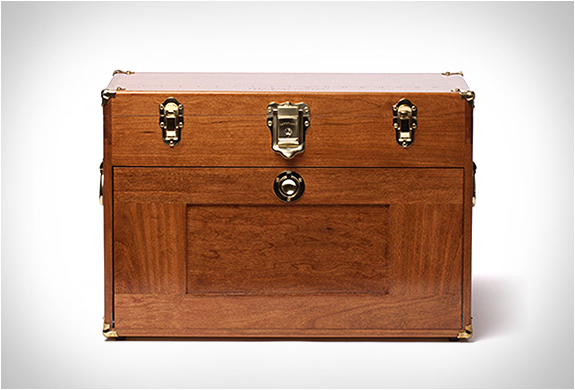 The beautifully made chest is a collectors dream, it is suitable for storing knives, watches, pens, natural specimens, or just about any small keepsake. 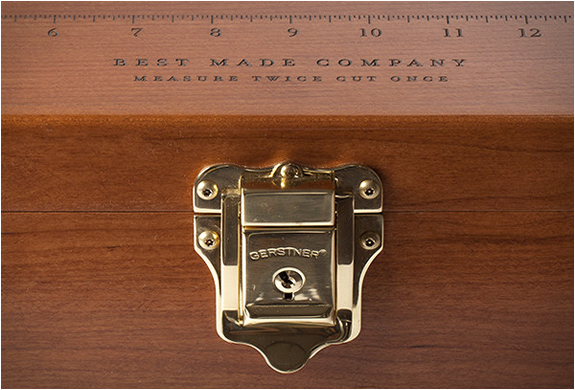 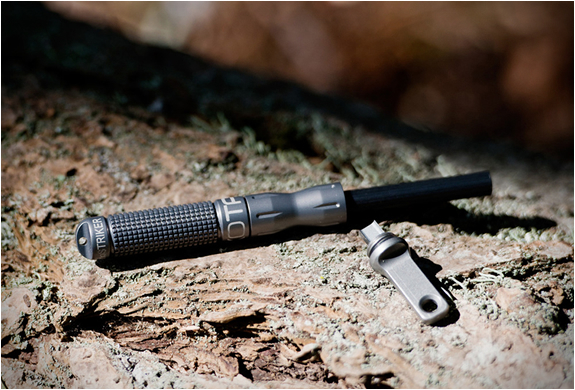 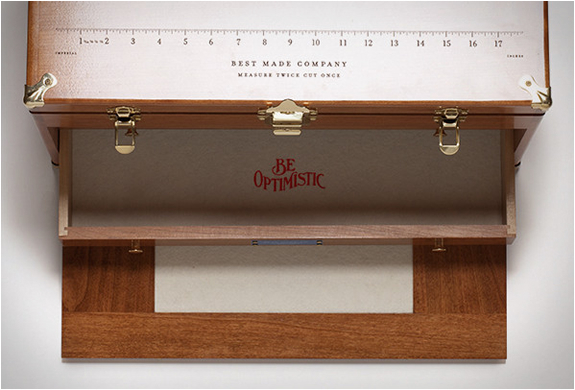 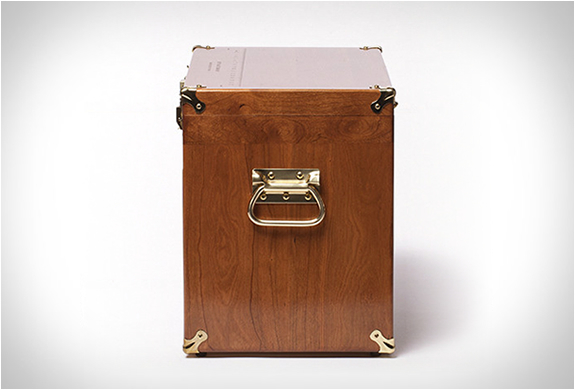 The tool case is made from kiln-dried American cherry wood and finished with solid brass hardware, it features Best Made´s distinguishing emblems and is available only in a limited quantity.